The FS222E is GSM Security alarm console with digital/voice/SMS auto dialer that can combine with FS330A APP via SMS to setting working/program data and receive alarm data. 10 passwords available set program’s data and working mode via SMS on APP. Set program’s data by FS310W keypad or FS330A Android APP. 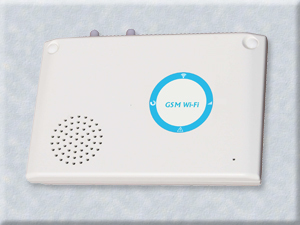 It has alarm siren sound and also can adjust the setting sound level. Power Source 12 DC 2A by AC adapter.